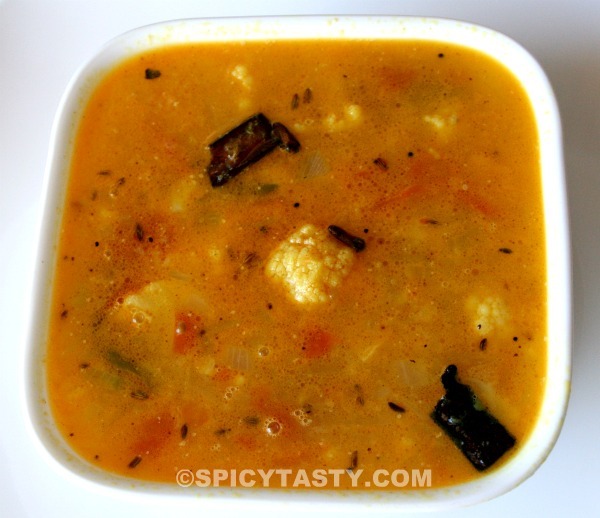 This cauliflower soup is a nice substitute for rasam. 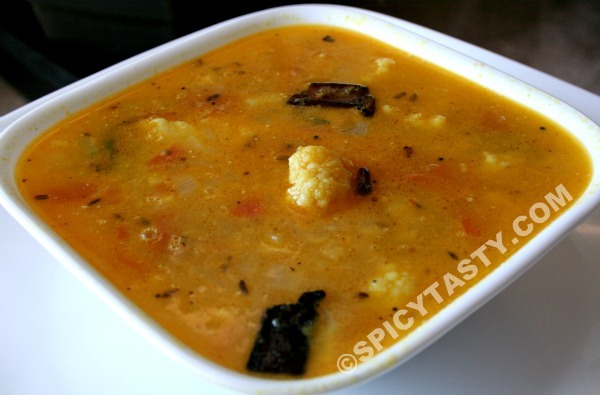 When we feel bored of having rasam, we can have this dal soup. This is very simple and to make and can be served as regular soup with crushed pepper. 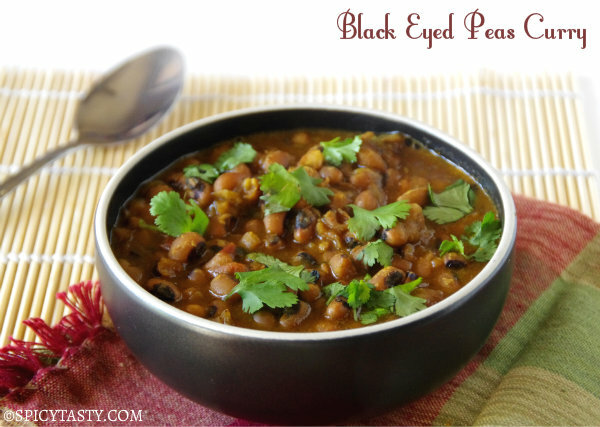 Pressure cook the dal with 2 cups of water and a pinch of turmeric powder and asafoetida. Fry till they become translucent and add the tomatoes. Add some salt, turmeric powder and add the cauliflower.Now add the dal water. Cover them and cook until the florets become soft. Add some water if needed. Keep oil in a pan and add all the items for seasoning. 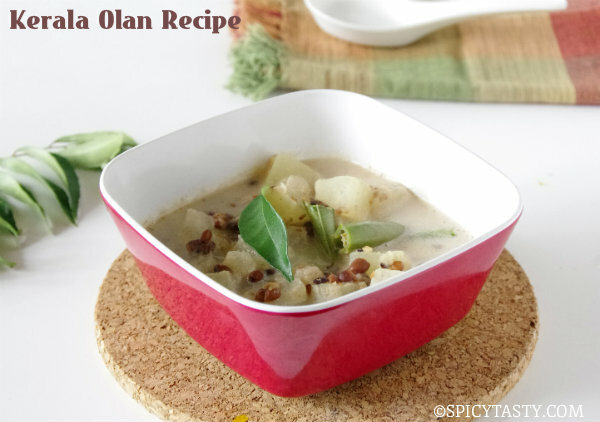 Season the soup and serve hot or we can enjoy with rice instead of rasam. Wow….that’s an yum soup….I sent u a mail….check out and reply…. Hi Lubna, Please check our reply to the email. Thanks. Hot soup for winter.I love it!